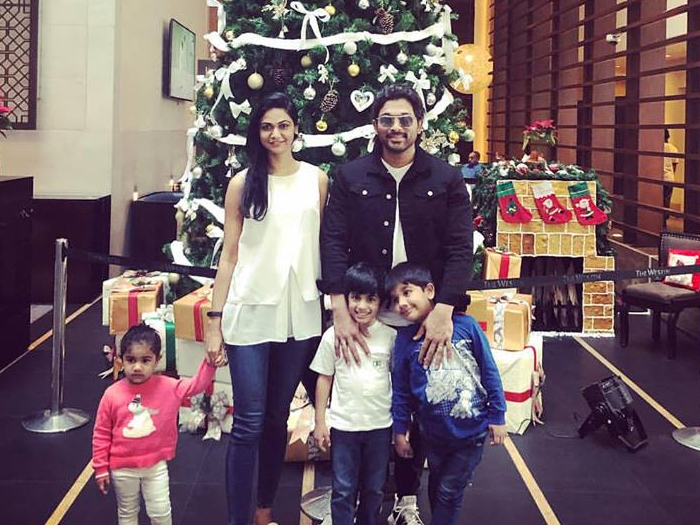 Recently stylish star Allu Arjun shared a cute video in which he was seen asking his daughter Allu Arhaa whether she will marry the guy selected by her dad. Despite asked repeatedly, she gave a negative reply to her dad. The cute video went viral and fans loved it to the fullest. However few psychologists found fault with Allu Arjun and other parents for imposing their wishes on their children and felt that such questions will affect their tender minds when they grow up. After Bunny shared the video, he got numerous likes and comments. And one person commented questioning, “Abba Chaa... Nuvvu chesukunnava mee naanna cheppina ammayini?" This came from none other than from Allu Arjun's wife Sneha Reddy. It is known that Sneha and Allu Arjun after meeting through a common friend fell in love and later entered into wedlock by getting green signal from their parents.